Twenty-five-year-old Louellen Friesen falls for handsome Dr. David McAndrew, an “English” widower with two teen girls, for whom she cleans every Saturday. There’s only one problem. Louellen’s already married. 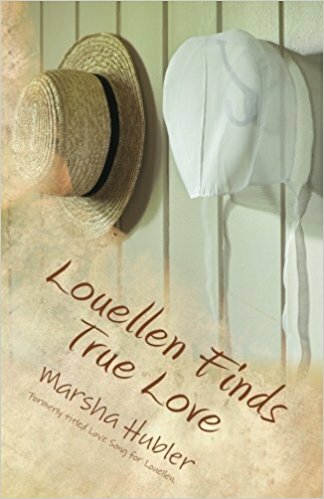 Past the marrying age, Louellen had wed Amish Eli Friesen three years prior, due to pressure from her family. Eli, also in danger of being “passed over,” had married Louellen for one reason: to have sons. Louellen struggles to love a man who returns little love to her. She sets out to be the best wife and mother she can be…when God blesses the marriage with kinner. But Louellen is barren and devastated. Eli also feels trapped in a marriage that has produced no offspring even though he knows he has the medical problem. Their frustrations draw them farther apart, and their wedded life is nothing but a disappointment. What should Louellen do? Turn her back on the only life she’s ever known? Should she leave and marry Dr. McAndrew, a man who has promised her the moon? Will she find the truth about eternal life and real love?